This is the fifth book by Father Hogan that I have read, and to date it is the best. I received the book too late to do the Christmas Novena on the proscribed dates, but after finishing the book have created a calendar reminder to pray the novena on those dates this coming December. This book is part history, part novena prayer, a small prayer book, and prayers for pilgrimage to Canterbury. This book is an inspiring read. 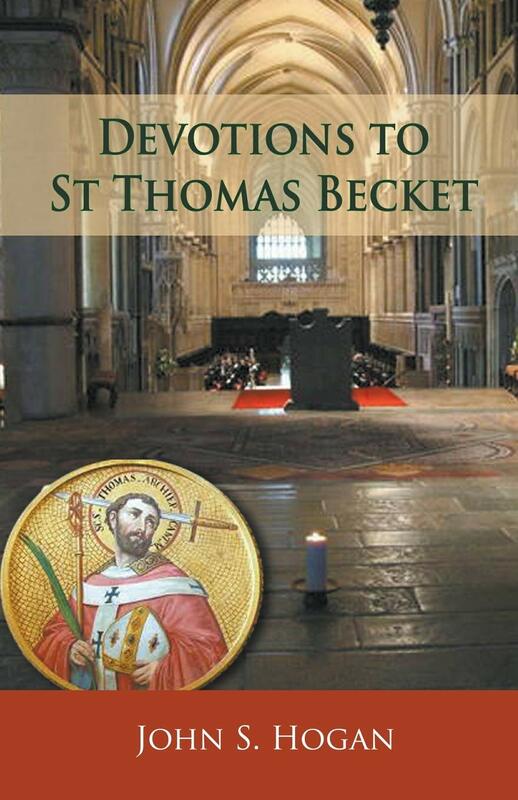 The brief biography of St. Thomas Becket that is included is enough to provide the big picture and the background. 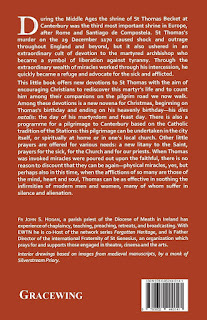 It is motivational in seeing the change in Thomas, his deepening devotion, his appreciation for the Eucharist, and changes as his faith began to grow. And the prayers in the book are wonderful. I have copied a few into my OneNote prayer book so I can have them on me at all times. I can recommend this book even just for the collection of prayers. The two I loved most were the prayer for Priests and seen below, the Prayer for Bishops. Lord God, raise up heroic Shepherds for your people, Pastors formed in your grace and faithful to the Gospel, Disciples immersed in the mystery of Christ and consecrated in the truth of the Faith. As with your beloved servant, St. Thomas of Canterbury, convert them to your will and make them forgetful of self. May they be courageous and true, free of ambition and unfettered by materialism and their human weakness; authentic witnesses to hope and generous servants of charity. May they be true fathers to their people and their priests and humble sons of the Church. May they consecrate their hearts and their lives to the Heart of the Holy Mother of God that she may form them according to the Heart of her Son. May they prefer suffering to honour and truth to respectability. May they rejoice to see their people grow in holiness, and at the end of their days be counted as faithful servants. 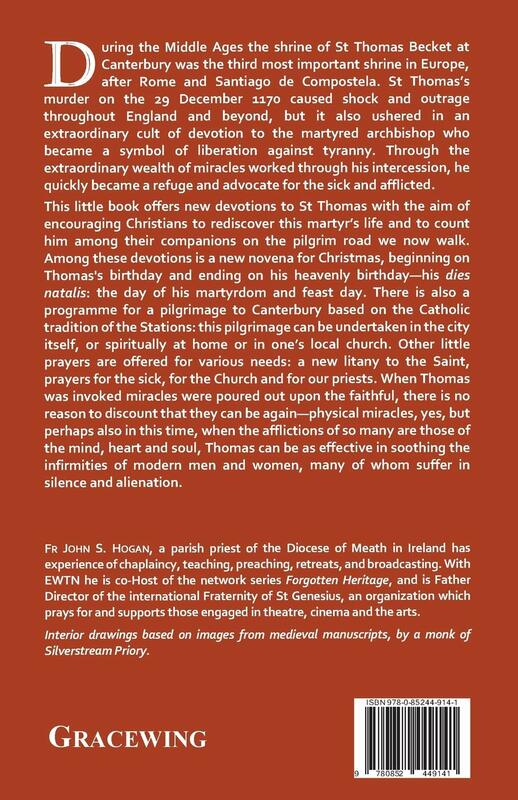 O Lord God, raise up holy Shepherds for your people as we commend them to the prayers and watchful care of your holy martyr, their brother, St. Thomas of Canterbury. This book is a wonderful addition to my library, and I am sure it will be to yours also. I plan on praying the novena on the proscribed dates. But Know I will be picking it up to use for prayer often. My only regret is that it is not available as an eBook so that I can keep it on me at all times. Another excellent book by Father John S. Hogan. It is an excellent read! This is one of those little books I wish I could keep a stack of at home to just keep giving them away. I know that if you pick up this book, read, and pray it will have a great influence upon your heart, and the prayers will not return unanswered. 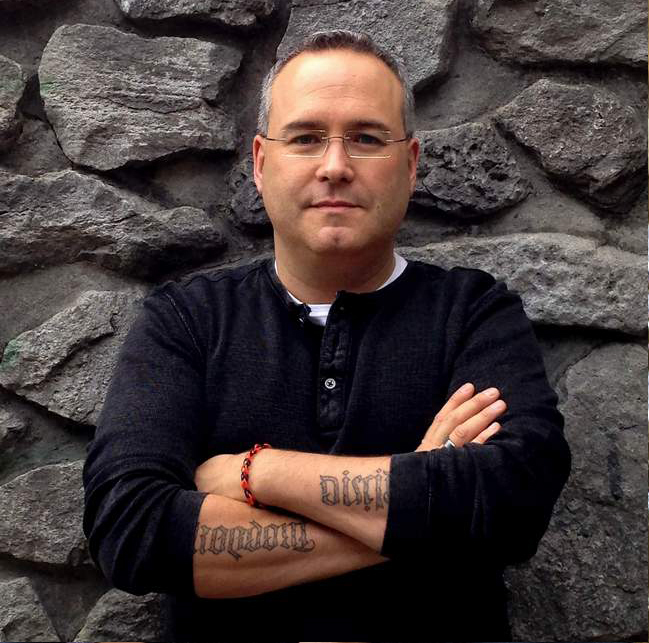 Father Hogan is one of my favorite contemporary Catholic authors and this is his best book to date.